Kimi Raikkonen met the media at the Circuit of Americas this morning as usual on Thursdays and said he was looking forward to the next few days. 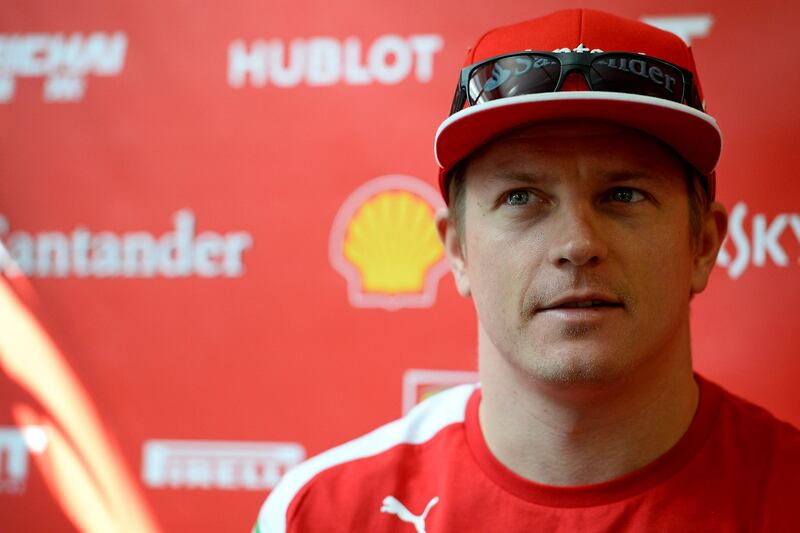 Kimi Raikkonen says he has no regrets about his return to Ferrari despite his frustrating 2014 campaign so far. Raikkonen’s switch to Maranello from Lotus this year was highly anticipated, but the rivalry between the Finn and team-mate Fernando Alonso has been lopsided. Raikkonen has beaten Alonso on track just once in races they have both finished but the Finn says he is happy with his choice. “I’m sure I made 100% the right decision,” Raikkonen said. “Obviously the results haven’t been what I want or what the team wants but that’s how it goes. We have improved from where we started and there’s been some better moments [recently] but it’s not easy to fix some issues and get things exactly as you want. Recent press reports in Austria quoted Gerhard Berger as saying Ferrari should keep Alonso – who is set to leave the team – and fire Raikkonen again, a reference to the 2009 split which led to his sabbatical from the sport. Part of Raikkonen’s problem has been his struggle to match his driving style with the Ferrari F14 T, as he prefers a responsive front end in his car. Though he thinks this should have taken longer to resolve than it has Raikkonen does not want to dwell on the negatives of 2014. Kimi: I must be crazy then! Felipe Massa reckons Kimi Raikkonen’s struggles compared to Ferrari team-mate Fernando Alonso this season are more psychological than anything to do with the set-up of the Finn’s Formula 1 car. Williams racer Massa, whom Raikkonen replaced at Ferrari this season, reckons the 2007 world champion’s ongoing difficulties have more to do with the mental challenge of being Alonso’s team-mate. “It is not easy to be his [Alonso’s] team-mate, and for sure the problem Kimi is having [this year] is in his head,” Massa said. “It’s very difficult [to be his team-mate], because first of all he [Alonso] is an amazing driver; his talent is really complete. Hardly surprising that Scuderia Ferrari drivers, Fernando Alonso and Kimi Raikkonen, were given an enthusiastic welcome by the young students that Shell invited along to a service station on Ben White Boulevard, a few miles from the Circuit of Americas, which hosts this weekend’s United States Grand Prix. The meeting took place as part of the Shell Eco Marathon project, whose main objective is to seek out alternative and renewable energy sources that can be used to reduce fuel consumption. In addition, the project is a useful training tool for the students who have to build a concept car that makes the most of aerodynamics and materials, so as to reduce the impact on the environment. Both Ferrari drivers took a turn at the wheel of two concept cars on a track laid out around the service station. Before getting in the cars, Fernando and Kimi spoke with the youngsters to learn more about these special cars and took tips relating to the best driving style to adopt to get the highest level of efficiency out of them, in terms of fuel consumption. After driving the cars, the two drivers met some Shell guests and the technical staff that follow the cars on the Eco Marathon. It was a day the talented American youngsters will no doubt remember for a long time.